What Does Lower Back Pain When Playing Soccer Mean? Athletes tend to engage in repetitive extensions, flexions, and rotations, and they’re also more likely than the average person to experience falls or collisions, which increases their risk of experiencing lower back pain. If you play a contact sport such as soccer, you could experience something as minor as a stress fracture that might heal on its own or something more serious requiring immediate medical attention, such as a disc herniation. The Santa Monica board-certified physicians at The Spine Institute explain what you need to know about lower back pain that may result from playing soccer. One of the most common injuries for soccer players—especially for preadolescents and teens—is spondylosis, which is a stress fracture in the lower back. This type of injury typically results from overusing the lower back muscles or frequently injuring that area from falls or other contact. Running or jumping may cause associated pain from the fractured vertebrae. There are several remedies for spondylosis, including resting, avoiding excessive back stretching, doing core strengthening exercises, and not playing soccer for a few months. Though stress fractures are common among soccer players, muscle spasms are perhaps the most common soccer-related injury, often resulting from a fall, side tackle, quick turn, or a hard kick. When a spasm occurs, you’ll likely feel stiffness or tightness immediately in the affected area. A muscle spasm can typically be remedied through nonsurgical methods such as light stretching, applying heat and cold, performing core strengthening activities, and doing dynamic warm-ups. A disc herniation occurs when the inner portion of a disc protrudes or slips, and it causes pain felt across the back and into the legs. Since this is a serious injury, it’s important to seek immediate medical attention to determine the extent of the damage. 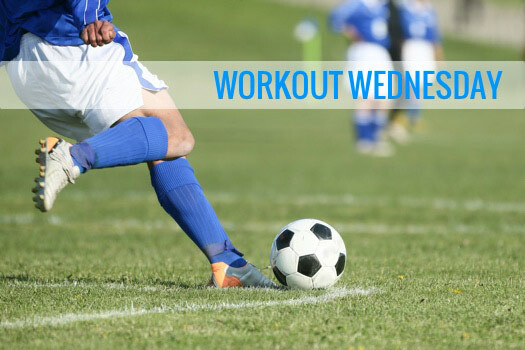 To lower the risk of herniation while playing soccer, learn proper soccer techniques and do core strengthening exercises. If you’re a soccer player who is unable to manage pain due to a herniated disc and you live in or near Santa Monica, spine surgery is a suitable option for finding relief. Contact The Spine Institute to meet with a professional spine specialist who can help you determine the best plan of action for alleviating your pain. Call 310-828-7757 to learn more.